Scotts Travel: A Montreux mini break, ideal for tranquillity and luxury. A Montreux mini break, ideal for tranquillity and luxury. The town of Montreux nestles in a sheltered Lake Geneva bay, surrounded by vineyards and against the breath-taking backdrop of snow-covered Alps. Jazz aficionados know Montreux as the home of the famed jazz festival. But even those who aren't music fans will find respite in this resort town on the Swiss Riviera: the wineries here are world renowned and the Château de Chillon is an impressive example of a medieval castle. 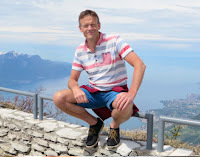 With a short flight time of 1 ½ hours followed by a direct train from the airport to Montreux this really is an ideal mini break for those seeking a certain something. There are plenty of attractions and excursions to be found in this town and with its exceptionally mild climate it’s a great destination to visit between the months of June and September. Here are a few of my favourite suggestions. The nearly 7 kilometre long, flower and palm tree-bordered lake promenade ‘Quai de Fleurs’ which links Vevey and Montreux going all the way to Chillon Castle is simply asking to be strolled along. Lined with attractive villas and gardens and a few restaurants, you could easily spend an afternoon taking in the glorious sights across the Lake towards France. Ride the Rochers-de-Naye rack-railway, take in the unique panorama overlooking Lake on to one of the most beautiful vantage points in western Switzerland. The journey takes about an hour from Montreux. Take a Steam Paddle boat ride on the lake, relax and enjoy the picturesque lakeside resorts. An upper-deck first class ticket will cost you around £35 depending on your choice of journey. Visit Chillon Castle located on a rocky island near the shore featuring fortified walls and towers; the prison in which Bonivard was held in chains for four years and which provided Lord Byron with the inspiration for his famous poem "The prisoners of Chillon" in 1816 deserves particular attention. Nowadays the castle is a museum. For all you Jazz lovers out there visit the iconic annual festival held in June/July. Failing that I recommend a visit to the Montreux Jazz Café. Claude Nobs, founder of the Montreux Jazz Festival, was an avid collector, his home a wonder of eclecticism. The Café aims to mirror this, with an assortment of objects that belonged to Nobs and festival photos. If you still have time you can even explore Geneva for the day, with easy access via a direct train. I stayed at the 5*Fairmont Le Montreux Palace Hote. Its lavish, soaring-ceilinged Belle Epoque architecture has hosted European aristocrats, Russian princes, actors, and a multitude of music megastars. The vast lobby and three metre-wide corridors ooze luxury and grandega. A room with a lake view is essential to really take in the essence of the fabulous hotel, with a Spa and indoor and outdoor pools. Check out the view from my bedroom window! Contact me on 020 8882 0141 for up-to-date offers including a stay at the Fairmont Le Montreux, although there are plenty of excellent alternatives, still allowing for a luxury break but more budget conscious.